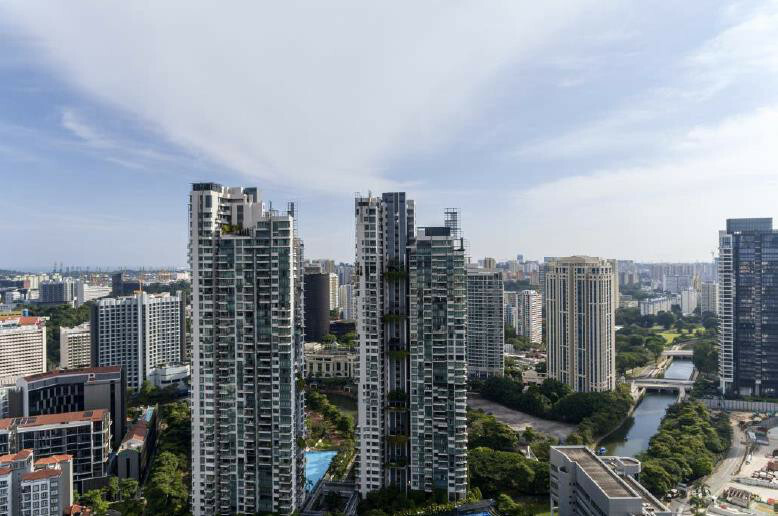 The Martin Modern condo launch is timely, coming as it does on the back of the successful launches of GuocoLand’s other luxury projects Goodwood Residence & Leedon Residence. 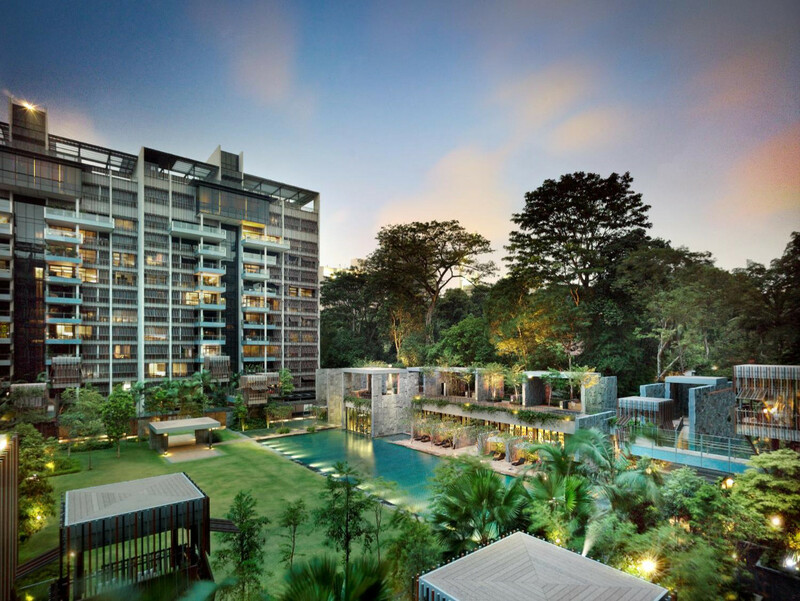 Goodwood Residence is fully sold while Leedon Residence is close to 90% sold, with units averaging $5 million. 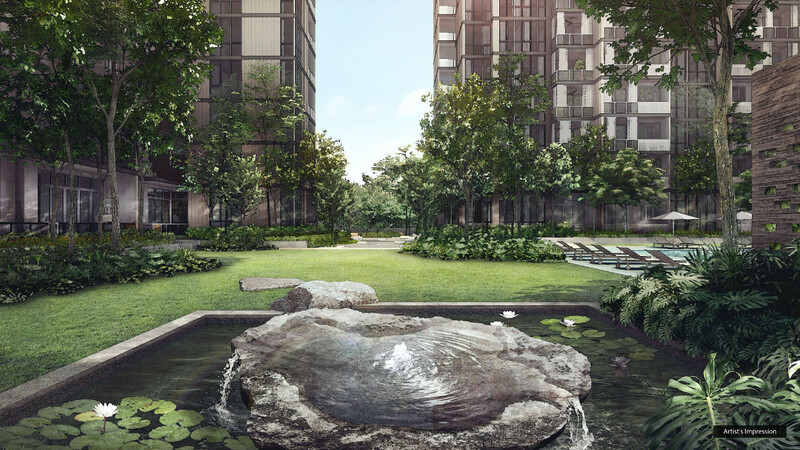 Like these 2 projects, the Martin Modern condo will revolve around an expansive garden concept. Here, over 80% of the land will become a gardenscape of lush vegetation and native trees. These will comprise more than 200 species of plants and over 50 species of trees and palms, such as the meranti, jelutong, and chengal. An interesting feature is the ficus variegata, a rare majestic tree with distinct buttress roots that used to be found on the site. This tree can grow to a height of 30m when matured, and plans are afoot to re-introduce it back here. The site will have 15 different zones with concepts like a forest trail, a party lawn, a maze, rain gardens. The lovely landscaping is spread over 3 levels, as the site has a 10 metre drop from one end to the other. In addition, there will be 2 rooftop gardens for the enjoyment of residents. 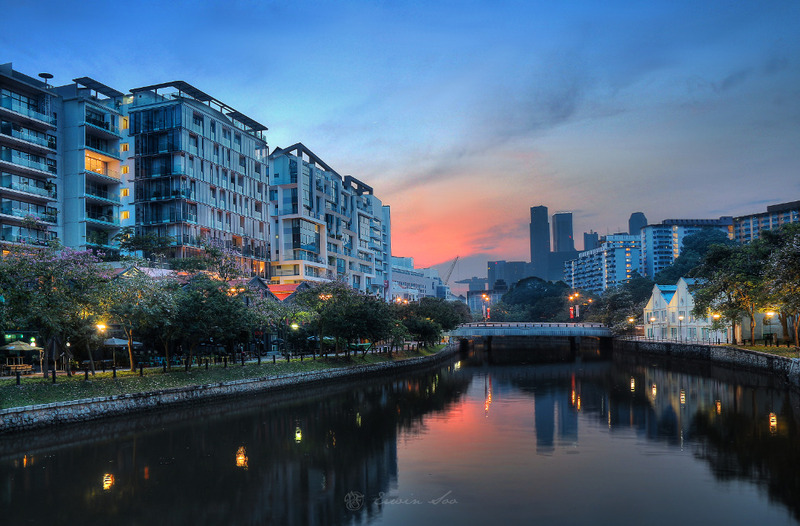 The Martin Modern condo will have 450 units, all of which have a view, of the Singapore River, or city skyline, or gardens. Each unit is designed with well-proportioned and functional spaces, and very high quality fittings and finishes. Besides its lush botanic garden, this project will have bespoke recreational facilities and GuocoLand’s concierge services. The character and ambience will be that of a plush relaxed resort in the city centre. This will be a unique development, crafted by master craftsmen. 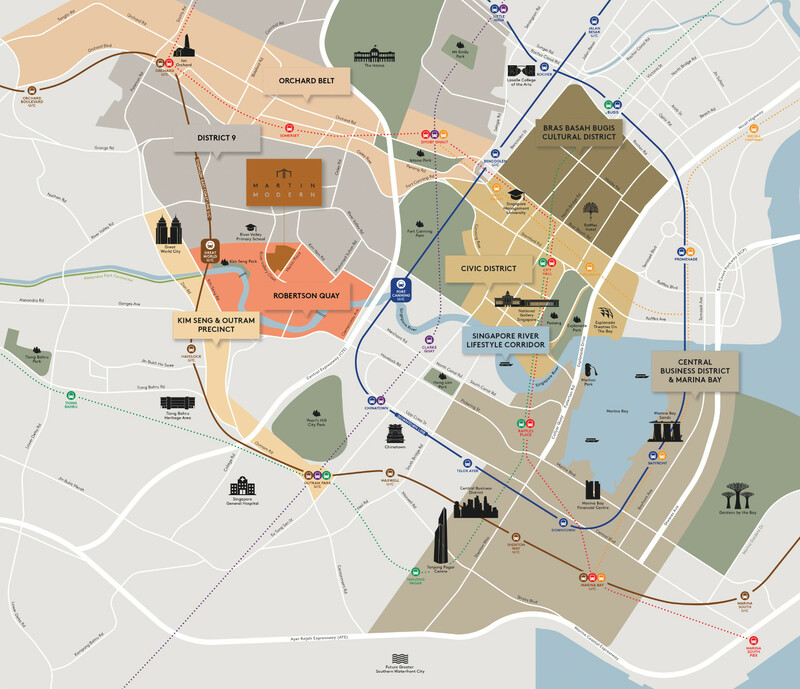 GuocoLand has carefully sculpted a development that is designed to wow the market. 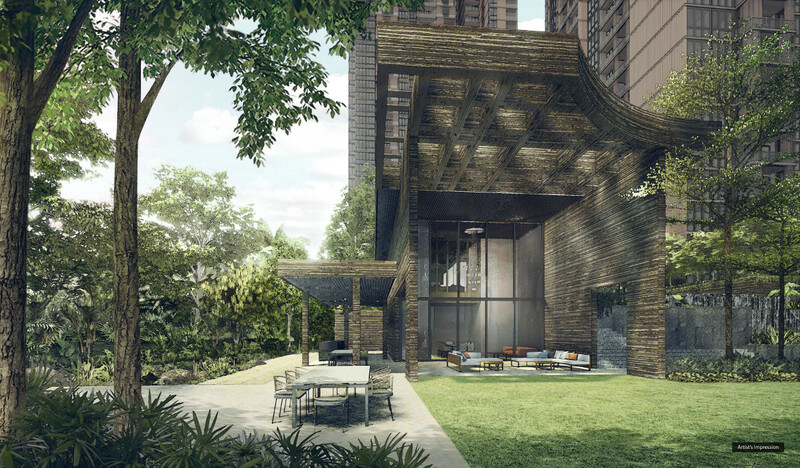 Yip Yuen Hong from ip:li Architects is the master architect for Martin Modern condo while ADDP Architects will be the project architect. The landscaping will be by ICN Design International, an award-winning landscape architecture firm. Mr Yip is a four-time President’s Design Award winner. 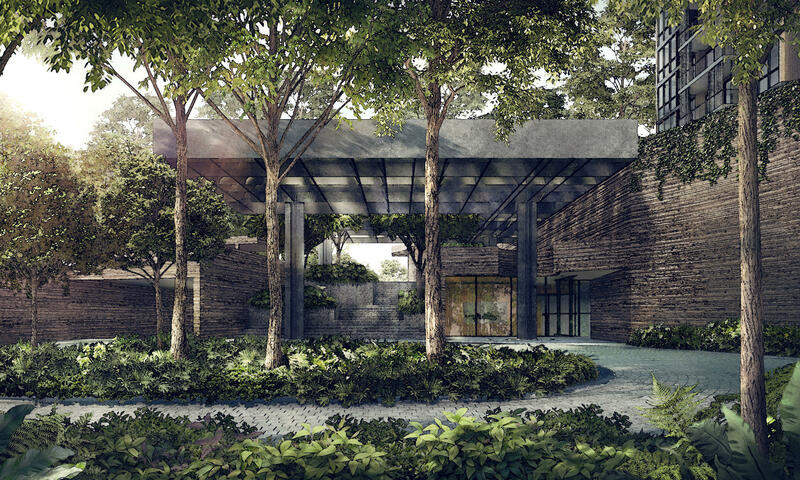 A very exclusive architect, he has designed one-of-a-kind, highly-crafted Good Class Bungalows for some of Singapore’s most affluent residents. He brings a signature style that is unique in Singapore.